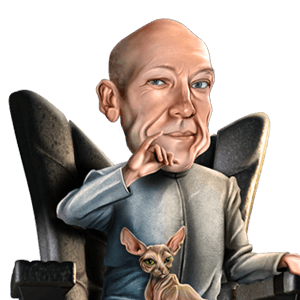 John Beauchamp Illustration and Graphic Design | The Name's Bond. 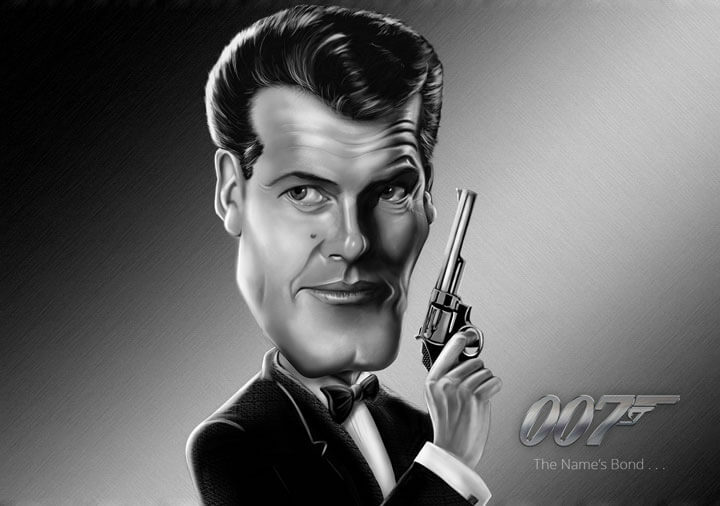 . .
My Caricature of Sir Roger Moore in his role as the iconic James Bond. 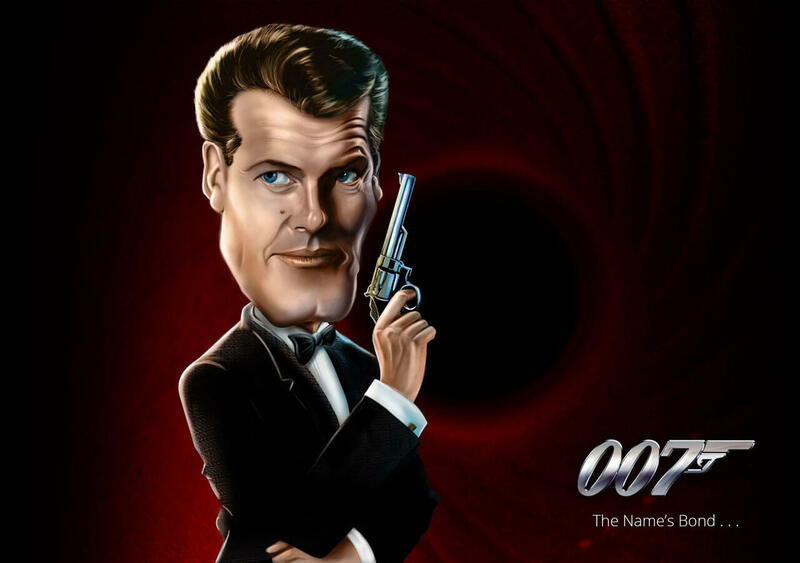 Roger Moore has always been my favourite actor to play Bond featuring in seven films between 1973 and 1985. I digitally painted this image using a Wacom tablet and Photoshop, endeavouring to capture Roger's signature "eyebrow lift" and the cinematic lighting. The image was rendered in shades of black and white and colour was then overlaid.